Recently, the telecommunications industry has seen a sweeping growth in data traffic on a global scale, attributable to the smartphone boom that has taken place over the last few years. This massive growth has resulted in an increasing demand for sufficient infrastructure resources to handle such traffic and the most obvious point at which this demand becomes evident is at the data centre. The growth in data traffic is currently opening new opportunities wherever there is Internet connectivity, and is driving customers to connect with businesses all over the world. The beauty of the Internet is such that the mobile customer is able to use their device to connect to systems, access content and use applications that are hosted anywhere on the planet. Internet traffic is no longer only transmitted between fixed locations or point to point and when it comes to doing business; there are no longer the same geographic boundaries in place. With the Internet, it’s possible to reach new customers with new services in new locations, but this means that service providers and networks need a more distributive infrastructure. This is necessary not only in their own regions but also in key hubs across the world where Internet networks cross-connect and in order to move into new markets, infrastructure is required outside of one’s own territory. While growth is welcome given the significant impact it will have on business it rarely comes without challenges, and in Africa, the biggest challenge is infrastructure. A resilient infrastructure requires more than one or two data centres to handle traffic reliably. In locations such as Europe and the United States there are dozens of data centres within a single town, whereas Southern Africa has only a small number collectively. Clustered data centres deliver redundancy in the event of failure, which is something we have not yet achieved at home in Southern Africa. In our region, data centres tend to be smaller both in size and numbers given that the infrastructure is still being developed. The data centres that we do have are characterised by insufficient interconnections with other data centres and their isolation makes them a single point of failure. Furthermore, we also face the reality of a lack of stable and reliable power supply on the continent, as well as a genuine shortage of skills around data centre technology to ensure that data centres are built, managed and maintained according to international guidelines and best practices. While the need for more data centres is undeniable, they are also expensive to build and operate. Furthermore, where they are tied to one operator, this hinders the growth of business and the spread of interconnectivity. It is for this reason that we have seen a shift away from carrier-aligned data centres, and highlighted the need for data centres that are carrier-neutral. A carrier-aligned data centre only has its own transmission links and satellite feeds coming in, and only offers the services that the carrier offers or has agreed to offer on behalf of third party providers. A carrier-neutral data centre on the other hand has literally dozens of providers in the same facility, offering a vast choice of competing service and content providers. A carrier-aligned data centre is owned by an entity with the objective of controlling customers and environments, while a neutral data centre is completely open to everyone. 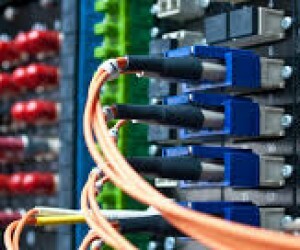 By locating their equipment and services within a carrier-neutral data centre, service providers and network operators can react as the market develops and can connect to new carriers, service providers and customers. Consumers are able to connect or purchase any service from any provider, and outsource their IT business needs to any systems integrator. Because this arena is essentially self-regulating (the market will quickly walk away from a third party provider that is sub-standard), a carrier neutral environment is ideal for fostering interconnectivity between regions, networks, businesses and consumers. In addition, focusing on adding more carrier neutral data centres, (rather than establishing more carrier-aligned centres) to the Southern Africa connectivity landscape will drive data prices down, while improving the quality and choice in services available and delivered. It’s important that network operators, carriers and service providers in the industry continue to look for ways to collaborate on connecting Africa to the world, and connecting the world back to Africa. Closer to home, we’re seeing progress daily in the sheer volume of new connections being made through fibre deployments to homes and businesses. While there is massive visible physical growth, there is still a lot to be done in terms of regulation and liberalisation of the marketplace. As long as the entrenched semi-monopolies, and their carrier-aligned data centres remain unchallenged, they will have a negative impact on the demand for more data centres, competition will continue to be limited, prices will remain high and the adoption of services will be hindered. This will leave southern Africa on the back foot when it comes to competing in a global marketplace. This is a significant business case for the expansion of the neutral data centre business model into the rest of Africa to ensure network and carrier choice, increased interconnection and flexibility of service offerings between our continent and the rest of the world.